Bone Parade is an online literary magazine. Yeah, we know what you’re thinking, “the world really needs another one of those.” Probably not, but we’ve convinced ourselves that we can bring something to the picnic that isn’t already there. 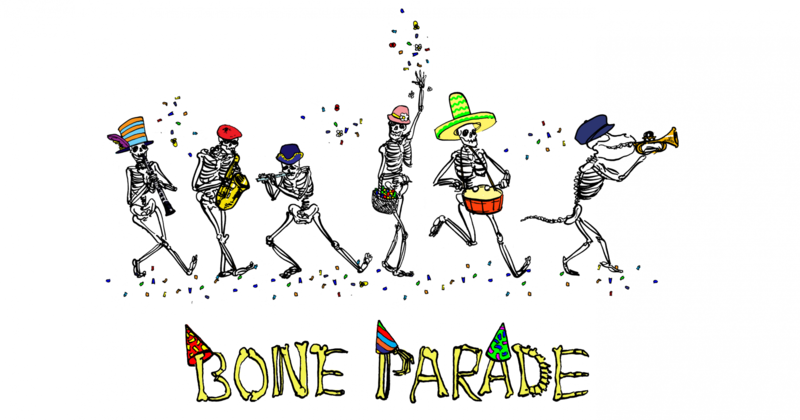 Bone Parade publishes quality poetry, flash fiction, and short stories. We also accept cover art submissions. Bone Parade publishes writing that rings bells, dredges lakes, and feeds the imagination. Please read through our submission guidelines to learn more about our literary interests. We release an issue once we’ve accepted seven different titles. Sometimes this takes much longer than we’d like, but we want to be really excited about the work we publish. Thank you for submitting, and thank you for reading.